Bendigo Hospital Project by Silver Thomas Hanley with Bates Smart and Oculus, award winner, Built projects – city and regional scale. Image: Oculus. Main Street Barcaldine by M3architecture and Brian Hooper Architect (architects in association), award winner, Built projects – local and neighbourhood scale. Photography: Christopher Frederick Jones. The award-winning former South Sydney Hospital Site – Stage 1 by City of Sydney with Peter Stutchbury Architecture, Design 5, JMD, Sprout Landscape Architecture, CAB, Fox Johnston, Jane Irwin Landscape Architects and CHROFI. Photography: Brett Boardman. Five projects have been awarded and six commended in the 2018 Australian Urban Design Awards, the nation’s premier awards for excellence and innovation in urban design. 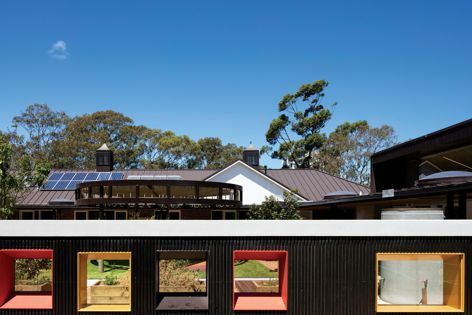 Chosen from a shortlist of thirty-eight projects, the 2018 winners are a new hospital in Bendigo, the transformation of a former hospital site in Sydney, a revitalization of a main street in outback Queensland, a design guide for central Melbourne and an urban design framework for level crossing removal. The results were announced at a presentation in Sydney on 25 October. Award: Bendigo Hospital Project by Silver Thomas Hanley with Bates Smart and Oculus. Commendation: Darling Harbour Transformation by Hassell/Hassell and Populous. Commendation: Barangaroo South by Aspect Oculus, Lendlease, Rogers Stirk Harbour and Partners. Award: Former South Sydney Hospital Site – Stage 1 by City of Sydney with Peter Stutchbury Architecture, Design 5, JMD, Sprout Landscape Architecture, CAB, Fox Johnston, Jane Irwin Landscape Architects and CHROFI. 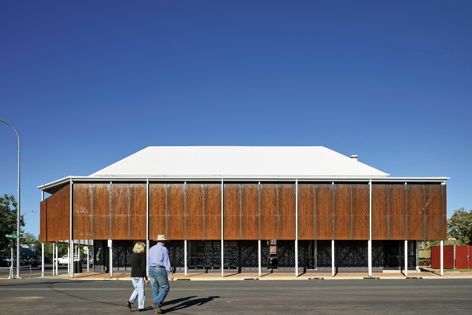 Award: Main Street Barcaldine by M3architecture and Brian Hooper Architect. Commendation: Railway Square by Place Laboratory. Award: Central Melbourne Design Guide by City of Melbourne. Award: Level Crossing Removal Authority Urban Design Framework by Level Crossing Removal Authority. Commendation: Urban Choreography: Central Melbourne 1985– by Kim Dovey, Rob Adams and Ronald Jones. Commendation: West Melbourne Structure Plan by City of Melbourne. 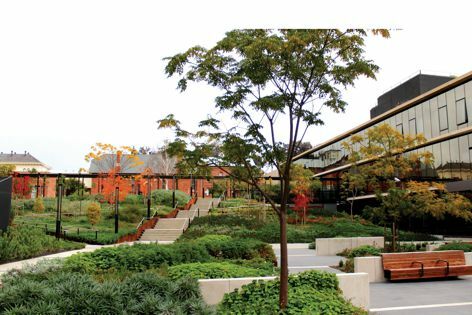 Commendation: The Living Knowledge Stream Design Guidance for Curtin University by Syrinx Environmental, Sync7, Dr Noel Nannup.